2016 isn’t quite over, but there’s no reason we can’t take a look back at the year! 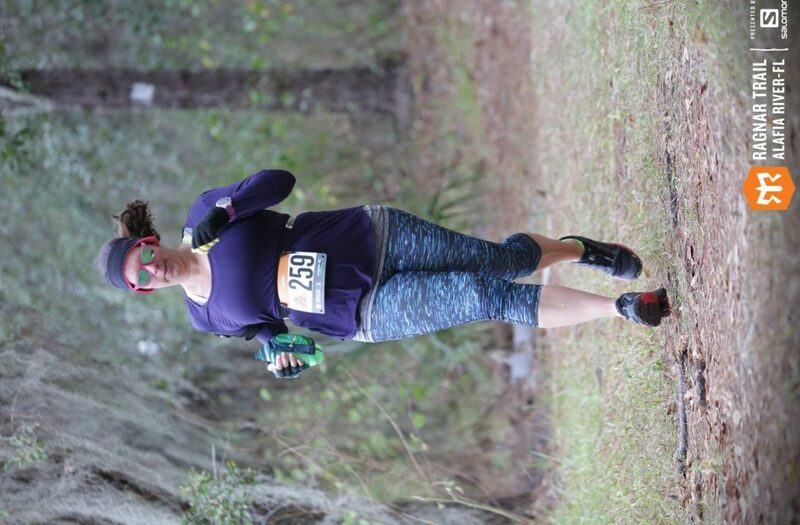 Best race experience in 2016: Ragnar Trail Alafia River. I know my recap isn’t ready yet, but believe me when I say, this was THE ONE. When I crossed the finish line, I just couldn’t shut off the emotions. This was something that was so far out of my comfort zone and so beyond what I ever thought I could do. I had this incredible team behind me and the opportunity to do something that was just so insane, and I can’t wait to do it again! It’s a tie! 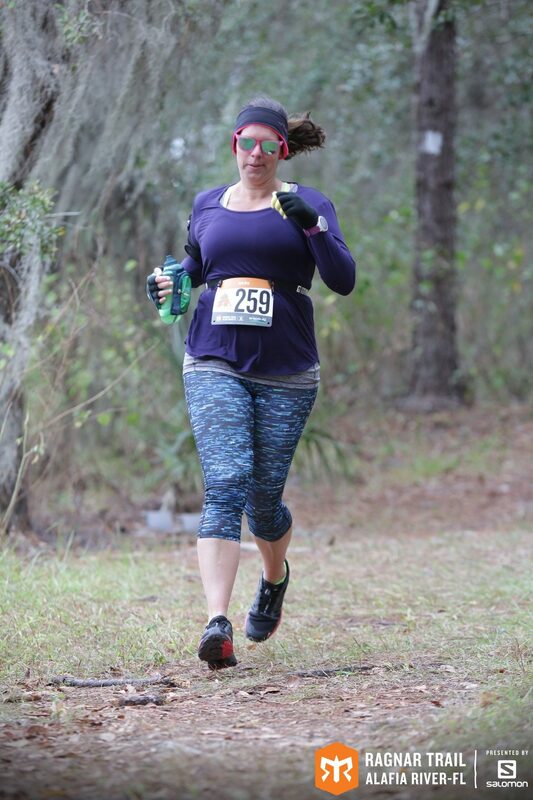 Best Damn Race Jacksonville was my big PR of the year (pre-injury), which is always awesome. I always wanted to ring a PR bell, and this was my chance! The Subaru Distance Classic, on Thanksgiving Day was also great in its own way. It wasn’t a PR, but it was the first race I’ve had post-injury where I felt good and strong. That meant a heck of a lot to me and it was a great way to go into the rest of my season. (Plus, I got to meet Tricia, so that was awesome). I have been eyeing this watch for quite a while now, and it appeared under our Christmas tree! Swoon! I love everything about it: the fit and feel, the customizable face, the built-in heart rate monitor, the way it syncs directly to my mobile device… It keeps track of my intervals, sends me text and social media notifications, and measures my running, cycling, swimming, steps and even sleep! I am extra motivated to go for that triathlon, now! I mean, come on. It’s a medal. It’s a puzzle piece. It’s a multi tool. You can’t even take it on a plane, because apparently, it would classify as some kind of weapon. It’s unlike anything I ever earned, and I’m incredibly proud of it. Best piece of running advice received: Keep perspective. My hip flexor really screwed things up for my running this year. At first, I was pretty bummed, but as I look back at the year, I realize that the injury allowed me to explore so many other options: cycling, spin, yoga and SUP. In spite of it all, I have come back stronger and more positive than ever and I am ready to take 2017 by storm! Total number of miles in 2016: 655.5. and counting. That’s precisely one marathon’s distance more than last year’s 629.3. Interestingly, I was injured and took some time off and starting out at low mileage, but I more than made up for it in my training. I am anticipating three more runs before the end of the year, so I guess we will see where I end up. I had a bit of a dry spell in the summer, but I was able to make up for it. My goal has been one race per month, and I’m meeting that quite nicely. My favorites were probably the Brooks Adrenaline GTS 16 Kaleidoscopes (top right corner). They felt a little different than the regular ones (bottom center), and I am fairly sure they have the most miles on them than any of the shoes pictured. I hate that they are just about ready for retirement. Not a race, but the day I was running and completely ate it was pretty damn awful. It was embarrassing and painful and really ticked me off. I was a nervous wreck for weeks afterwards. I probably wouldn’t do the Glass Slipper Challenge again. Don’t get me wrong. It was one heck of a good time and I loved sharing that weekend with S, but if I’m going to do a runDisney event, I’d like to try a different one. 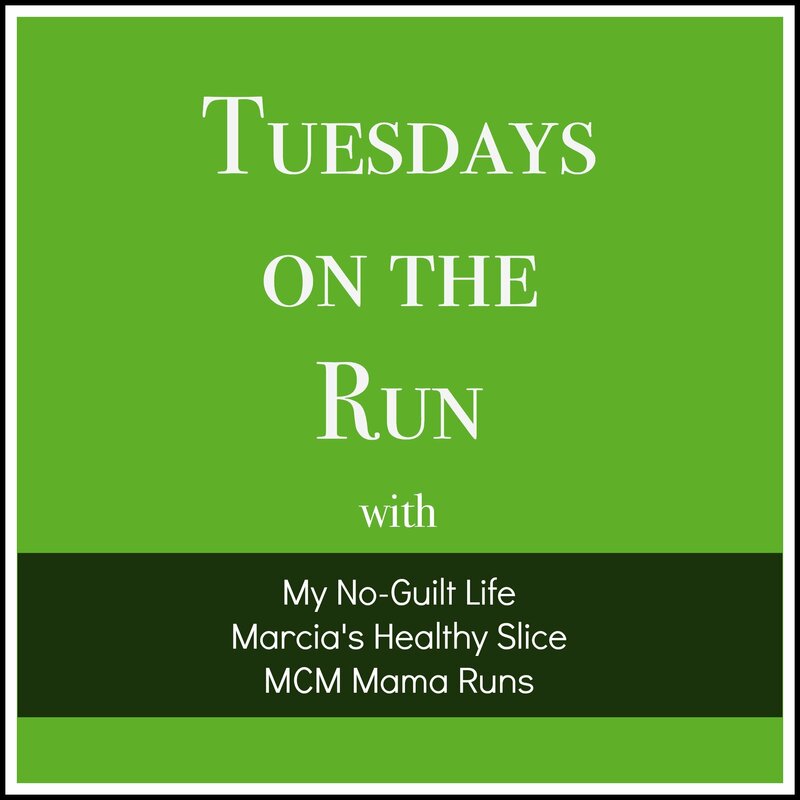 This was just something that was very different for me – a road race in an unfamiliar city and state, which promised to be flat, but was in fact pretty hilly by my standards. That being said, it was so beautiful and unusual, especially coming from a place that is pancake flat and very different as far as scenery. I just wasn’t expecting it, and was blown away. Guys, I don’t know where to start. Mr PugRunner wants to get back into running, and so we have a family 5K planned for early February. I am REALLY stoked to share the experience with my guys, and can’t wait for the big day! We have a relay team put together for the 26.2 Run With DONNA. February is a bad time of year for a half or full, so a five person team is just the ticket. 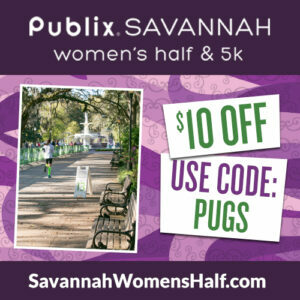 In April, I get another chance at the Publix Savannah Women’s Half Marathon. I cannot wait to run this with some of my fellow ambassadors and get my redemption! You can join me by registering here and save $10 with code PUGS! The most important thing I took away from running this year: The memories. These and so many more. These are just some of the people who make it all worth it. My husband, my son, and these beautiful, strong, supportive friends. I really don’t know what I would do without them. Goals for 2017: I did pretty well on my goals for last year, but I still have some work to do. I am still reaching for that 2:30 half/:30 5K. It will happen. Maybe this year, maybe not. We will see. I am starting my Run 50 quest. I want to run a race in every state. It doesn’t have to be a half or a full. I just want to cross finish lines all over the country. I have four states down and Mr PugRunner gave me this awesome medal rack so he has offered implicit support of my goal. I want to conquer a handstand. I hate being upside down, and I struggle with inversions in yoga, but I have managed crow, plow and supported shoulder stand, so I can build and grow from there. And that’s a wrap on 2016. I must say it was pretty awesome in a lot of ways, and I am grateful for the opportunities and experiences I had along the way. They were a limited edition, and the upper is a neoprene type fabric. It’s magical! I hope they come out with something similar in the 17s. Can I just say I love everything in this post. I am very glad to have met you and hey I didn’t even turn out to be a serial killer lol Jennifer you have conquered so many things this past year I’m still jealous of you getting to do a Ragnar race. You have a very reasonable goals for 2017 and I know you will accomplish them. I can’t wait to see what this new year has in store for you. It’s really awesome when blogger friends turn out not to be serial killers! I loved meeting you and I hope we can do it again! I want goals that are challenging but I think I can hit with some work. It’s discouraging to fall short, so I want to have something attainable. I guess we will see what the year has in store. Great job on fitting in the races and mileage, despite your injury! And the 50 states quest is a ton of fun. It’s become a family quest around here. Mr PugRunner informed me that he would be ok if he never set foot in North Dakota, but I’m pretty psyched to see where our travels can take us! How fun to read about your year and all of the great things you have accomplishsed… and some you are looking forward to in 2017 as well. Love the map board for your 50 state challenge. How wonderful that Mr. Pug is with you on that! Cheers! You’ve had a great year and I’ve enjoyed following you. I want to conquer handstand too. Maybe this will be the year for both of us! So many races! That’s amazing. My husband also agreed to run with me next year and do a one day, 50 mile relay with me and a few friends. I’m so excited! That is an awesome wrap up! What a year Jenn, you did not let anything slow you down and you just kept moving! Very inspirational! I can’t wait to hear more about the trail run 🙂 I added a couple new states this year and hope to add a couple more next year! There is a big beautiful world out there- I hope to see you! 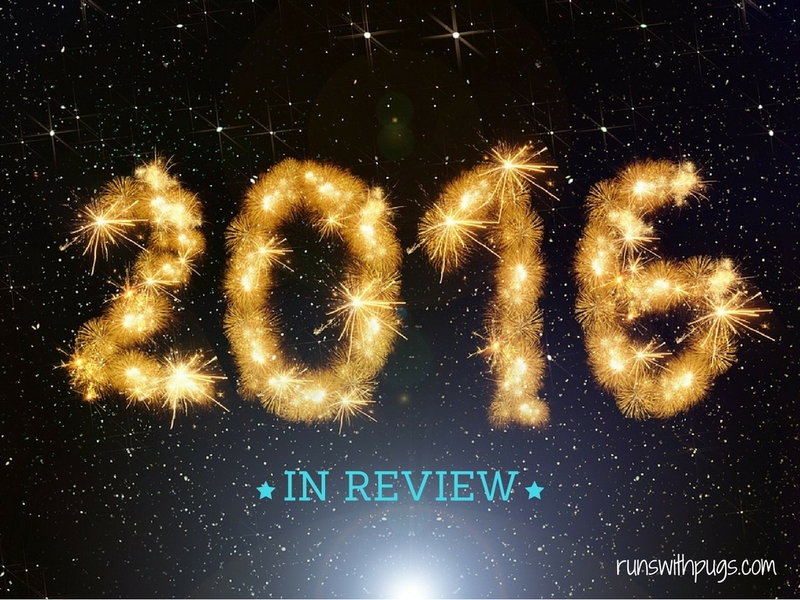 Mary Beth Jackson recently posted…And the medal goes to……..year 2016! I’m with you on wanting to try multiple runDisney race weekends. Princess is actually next on my list. I’m hoping to be able to fit it into my 2018 calendar. They are just too expensive and time-consuming to do the same ones. I would like to do something in Disneyland next. Fingers crossed I can make that work out! You’ll love Princess. It’s so fun and so outrageous! I admire you after reading a whole your sharing. Good runner!